I didn't take any before pictures. We had a free-standing cooler with 6 pony kegs in it and 6 taps on top. 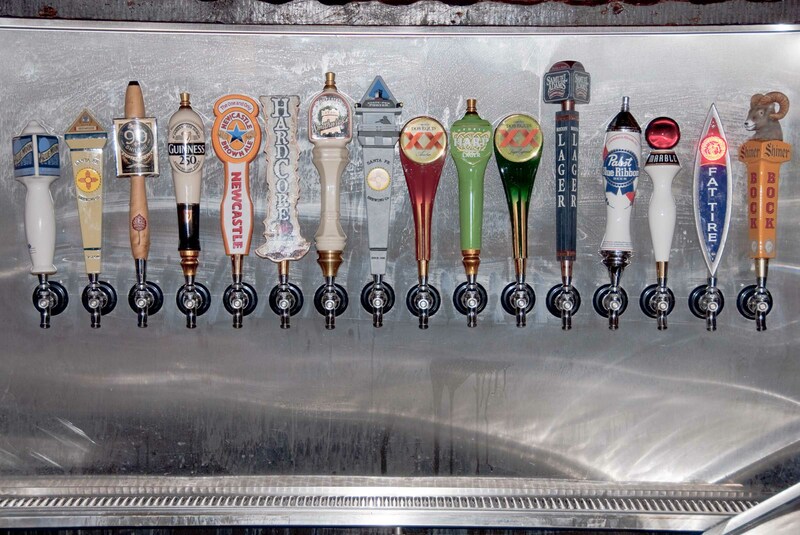 We replaced that system with a stainless steel system with 16 taps. The lines are refrigerated back to the new walk-in so the beer in the lines stays cold, dramatically cutting waste while improving quality. Instead of a single regulator supplying gas to all the taps as in the old days, now we have one regulator per tap, another performance enhancement. In what was once a debris filled store-room below the flight deck, we constructed a custom walk-in cooler. We now have room for 16 full size kegs for each of the 16 tap handles plus additional storage for back stock kegs. The larger kegs significantly reduce our product cost. 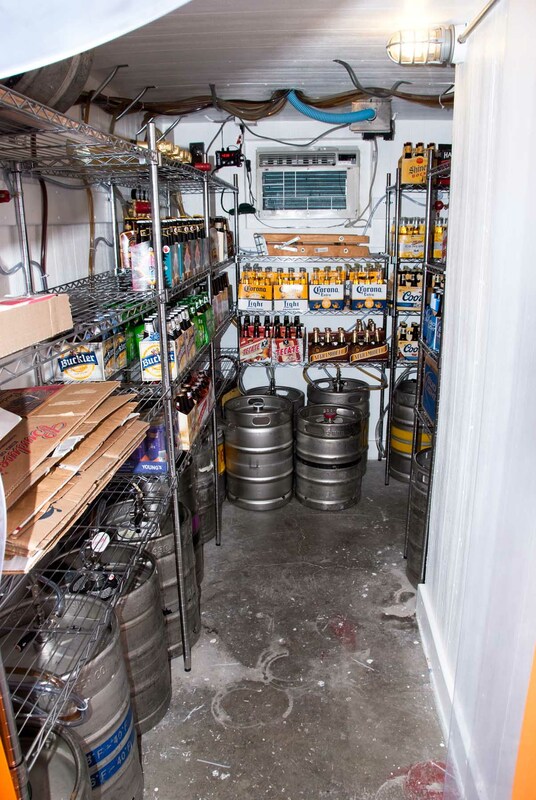 We have lots of room for back stock bottled beer, all of it refrigerated space. We save energy. We replaced the keg cooler, 4 old refrigerators for back-stock kegs, plus 2 old refrigerators for back-stock bottles with a single walk-in. We get much better performance while saving about $1,000 in electricity costs and even more with the reduced beer costs that result from buying the larger kegs.